Brazil’s rejection of settler-advocate Dani Dayan as ambassador sends a strong message to Netanyahu and the Israeli right. Israel seems to be backing off an effort to appoint settler-advocate Dani Dayan as ambassador to Brazil. Israel’s Prime Minister Benjamin Netanyahu publicly announced that he was naming Dayan—who has “devoted” much of his life to “expanding the Jewish presence in…disputed historic places across the West Bank”—in a Tweet in early August. For months, Brazil’s foreign ministry, popularly known by the name of the building it works out of—Itamaraty—stalled on approving the appointment, signaling to Jerusalem it wasn’t happy with Dayan. Then, in December, Brazilian officials began to leak to the Israeli press that Dayan’s credentials wouldn’t be recognized. More recently, last week, a group of 40 retired diplomats issued a collective protest against Dayan, complaining of, among other things, the way Netanyahu violated accepted procedure. 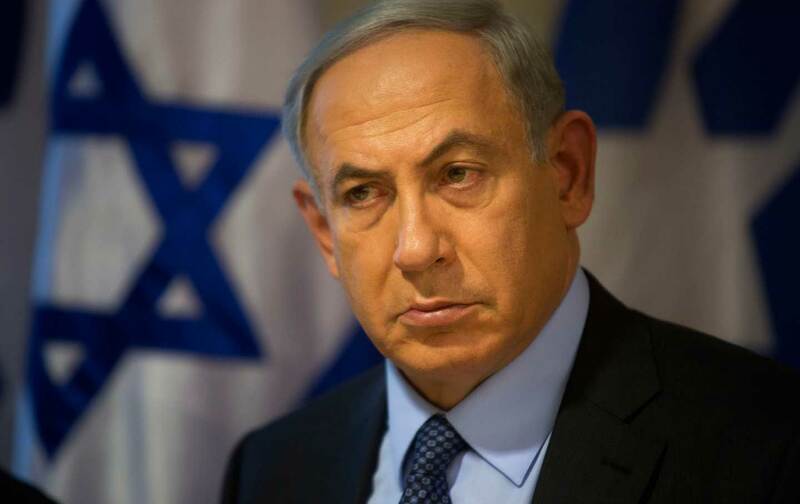 It is protocol to quietly ask first for “agrément” before making a public announcement—that is, approval that “the receiving State…will welcome the person who has been chosen as the ambassador.” The retired diplomats in effect accused Netanyahu of trying to “settlerize” the diplomatic process, to, in their words, “establish facts” on the ground, and then wait for acceptance of those facts to become inevitable. If the international community relinquished its vain attempts to attain the unattainable two-state solution, and replaced them with intense efforts to improve and maintain the current reality on the ground, it would be even better. The settlements of Judea and Samaria [as Dayan insists on calling the West Bank] are not the problem—they are part of the solution. Such positions are anathema to Latin American diplomats. Netanyahu might have gotten away with appointing Dayan as ambassador to Panama, Honduras, or the Dominican Republic. Not Brazil. Throughout the twentieth century, Brazil, along with the rest of Latin America—especially Argentina, Chile, and Mexico—played a key role, rarely acknowledged by intellectual historians, in creating the liberal interstate system. Latin America practically founded the United Nations and wrote its Universal Declaration of Human Rights. The region’s diplomatic independence was derailed during the Cold War, when most countries allied themselves with the United States. Yet over the course of the last two decades—with the region’s political left return to power and Washington’s revival of an aggressive, unilateral militarism—Latin American diplomats recommitted to a progressive, sovereign, multilateral order. Brazil, along with Argentina, Venezuela, Bolivia, and Ecuador, drove this recommitment. During the presidency of Luiz Inácio Lula da Silva (2003–11), diplomats, such as Marco Aurélio Garcia and Antonio Patriota, sought to restore the progressive (often contradictory) principles of national sovereignty, Latin American unity, international multilateralism, and third-world solidarity. Patriota, as Lula’s foreign minister, resisted efforts on the part of the United States to dilute or weaken the United Nations. Dilma’s resistance to Dayan is impressive, considering that, in the face of a bad economy, low poll numbers, and the threat of impeachment, she—along with Brazil’s long-governing Workers Party—has capitulated on a number of economic and political issues, as Andy Robinson, in The Nation, and Gianpaolo Baiocchi and Marcelo K. Silva, at Al Jazeera, report in detail. And considering that Brazil’s military and aviation industry depends on Israeli technology. “Israel exported to Brazil US$ 10.527 million in spare parts for airplanes and helicopters and US$ 1.83 million in instruments for aviation and space navigation,” according to Folha de S.Paulo, which reports that the army isn’t happy with the delay in Dayan’s appointment. In turn, Jerusalem tried to leverage this dependency to push for Dayan’s acceptance. “Israel will not accept the phenomenon of rejecting an ambassador for ideological reasons,” its deputy foreign minister has said. In December, The Jerusalem Post wrote that “Israel was now bringing its campaign to get Dayan approved out from behind the scenes and into the open, and will use all the means at its disposal to get it approved, including waging a public campaign in Brazil” and “mobilizing the Jewish community there.” As well as, apparently, its close ties with military officers. The question is not whether I will be the ambassador to Brazil or not, what will be determined now is whether the next settler, the next resident of Judea and Samaria who is chosen to be an ambassador, can fill a diplomatic role, or whether we will agree that the 700,000 Israelis [living beyond the Green Line] are not eligible to be ambassadors. A rejection of Dayan’s appointment on the grounds of his role in the settlements is likely to instigate severe responses from the Israeli right, and cause pressure from senior members of Netanyahu’s coalition to take diplomatic steps against Brazil, going as far as downgrading the relationship between the two countries. But this week, Folha de S. Paulo reports that Israeli sources say Dayan’s name will be withdrawn. Brazil has promised to fast-track his replacement.